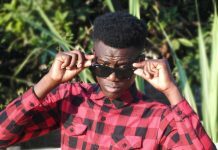 Corta Nac_City is an emminent artiste that has grown to be popular among the majority of the Zambian folk who are technically followers of the Hip Hop culture. 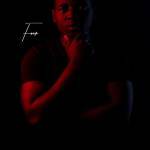 His name often precedes him because of the admirable qualities such as the formidable energetic flow he exudes on the microphone and his ability to beautifully contort rhymes, punchlines and metaphors effortlessly on tracks which can be attributed to it. But that is only one side to this rap giant who has been terrorizing the Hip Hop scene for quite sometime. 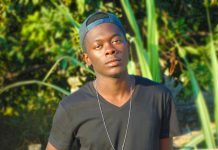 Nchimunya Stanley Chileka (Born on October 18th) better known by his stage name Corta Nac_City ‘Nac_City Boy‘, is a hip hop, recording artist from Lusaka, Zambia. 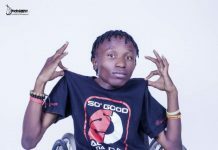 He began his rap career in 2013 when he met Smox Kangwee who heard him freestyle n’ went on to produced his first demo songs Bring Me Back and Nipatali. Later that same year he came across an exceptionally talented producer and songwriter Sydney Marney who took him under his wing and together they launched the smash hit single ‘DOWN‘ which boasted massive national airplay, countless raving reviews from fans all over the country and made it to the top ten national charts. Corta was subsequently signed to Marney Music Records who took a step further and published stunning visuals for his single which took the Hip Hop game by storm as it aired on every TV station across the country and was the word on everyone’s lips. 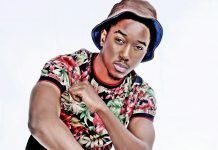 This alone attracted several features and collaborations with already established artists in the game who simply couldn’t avoid the buzz that this fresh new rapper had created. Since then it has been one bomb after another. “I am Music” became thee motto that Corta Nac_City adopted due to his quick climb to fame and also because nobody could outshine this uncommonly gifted young man. 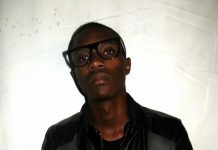 He has gone on to collaborate with other acts such as Stevo Rap Guru on a song called TONIGHT which also features Kan2. It’s always been Corta Nac_City’s dream to not only earn, but also be able to give back to mankind. As an international based medical student He hopes for a Zambia led by love, from the nation’s leaders all the way down to the beggars on the streets. 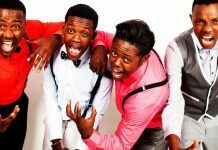 Also the rapper intends to use music as a grooming tool for other emcees encouraging them to gravitate owards imparting messages that positively impact the local community. Which they will then pass on to the outside world. Corta Nac_City acknowledges that it is a grueling pursuit, but it seems like nothing can stand in the way of this optimistic young man who has goals to be achieved as he concludes in his own words, ” It will be a long journey, but he has taken the first step already by having this DREAM.